An already high user rate on the PCT forces us to examine an issue that has been growing over the years: improper human waste disposal along the trail. Uncovered feces, barely covered feces, and “toilet paper blooms” (loose TP) have become common sights. We all poop. It’s up to each of us to do so in a responsible manner that respects our fellow hikers and the trail. Examining this issue in greater depth will help to ensure improved ecological health and a better user experience. Human waste seems to be concentrated in and around areas of easy access: these primarily include drainages and established tent pads. Hikers should assume that others will be using those same areas to sleep and prepare meals. The proximity of human waste poses a health risk. Additionally, depositing waste in drainage areas is ecologically unsound. Rain sends water rushing down these drainages, picking up whatever is in its path and potentially contaminating freshwater downstream. Another consideration is that trail crews maintaining and improving the PCT often spend concentrated time on sections of the trail. 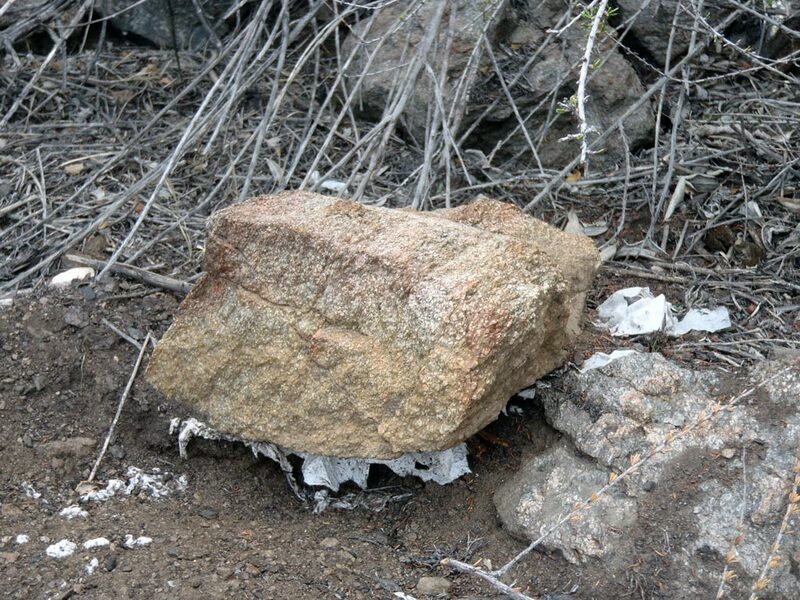 Uncovering human waste while overturning rocks for trail projects is not especially enlightening; neither is discovering a pile of barely-covered human waste 10 feet from the trail while sitting down for lunch. Both of these scenarios are all too common. Deposit solid human waste in catholes dug 6 to 8 inches deep, at least 200 feet (approximately 70 steps for the average adult) from water, camp and trails. Cover and disguise the cathole when finished. Digging a proper hole helps to introduce soil microbes that begin to break down the solid waste. Take it a step further and make “poo stew” by using a stick to break up your waste in the cathole, therefore increasing the rate of decomposition. if you don’t have time to dig a hole, know that you can always dig a hole after the fact and bury your waste properly at that time. If you carried in toilet paper or feminine products, you can pack it out. Many wildfires have been caused by hikers attempting to burn toilet paper. Feminine products and toilet paper both have slow decomposition rates and can remain intact for a long time. A long hike may be a good time to invest in alternative options in feminine hygiene, such as the Diva Cup or the Keeper – both reusable and waste-free alternatives. Wet wipes, though they may indicate that they are bio-degradable, take an especially long time to decompose. Please pack them out. Lets move forward together and take responsibility for our waste in the natural environment by respecting the land and our fellow trail users. Trail crews depend upon rocks like these to reinforce the trail. This is disgusting.